The Human Rights Act protects ordinary people’s freedom, safety and dignity, and helps us hold the authorities to account when things go wrong. Celia Peachey’s mum Maria was murdered by her violent ex-partner, despite repeatedly asking the police for help. Celia used the Human Rights Act to hold the police account for their failings. Celia remembers her mum as kind and funny, her best friend and a great listener. In 2008, Maria began a brief relationship with Marc Chivers. Soon after, he was arrested for seriously assaulting her and sent to jail. Chivers had killed a previous girlfriend and the police had assessed Maria as being at high risk of death or serious harm. Yet Maria was given a panic alarm that worked while Chivers was in prison but deactivated once he was released. She was left totally unprotected. Maria repeatedly called the police asking for help. When officers visited Maria’s home, Chivers answered the door. He told them that she was away, and the police left. The next day, Maria was found strangled to death in her bathroom. Celia and her family used Maria’s right to life under the Human Rights Act to push for a full investigation into why she was not protected. The resulting inquest revealed that Maria was unlawfully killed, and that police errors had contributed to her death. John Moore-Robinson died after doctors at Mid-Staffordshire Hospital failed to diagnose a ruptured spleen. His parents used the Human Rights Act to uncover the truth about what happened. John was the youngest of Frank and Janet Robinson’s three children. They say he loved life and lived it to the full. 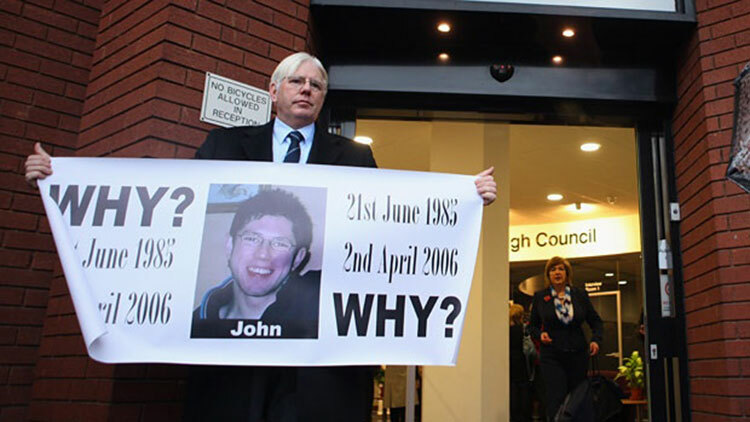 On 1 April 2006, John was injured in a cycling accident and taken to Mid-Staffordshire Hospital. Emergency staff diagnosed him with bruised ribs and sent him home. But John was still very ill and needed a wheelchair to leave hospital. That night, John’s condition worsened and he died in the early hours of 2 April. The post-mortem revealed that John had died of a ruptured spleen – something doctors at Mid-Staffordshire Hospital had failed to diagnose. An inquest was held into the circumstances of John’s death, but Frank and Janet had serious concerns about how it was conducted. Determined to uncover the truth about what happened, Frank and Janet pushed for a second inquest. Drawing on new witnesses and evidence, this inquest revealed that John’s death was totally avoidable. He was failed by the trust at every stage of his care. Jan Sutton was trapped in bed for most of the day because the council didn’t fund enough care for her. The Human Rights Act inspired her to fight for a better quality of life. Jan Sutton has multiple sclerosis. For years, Jan’s local council only paid for carers to make short 30-minute visits to her home. They would help Jan wash, dress and use the toilet, but the rest of the time she was confined to her bed. It was degrading, but she had no other choice. When the care provider pulled out at short notice, Jan had to find new carers herself. The other agencies only offered four-hour visits, so Jan had no choice but to pay for them and run up debts. Almost overnight, Jan’s life changed for the better. With the help of a carer she could go outside and sit in the sunshine, or socialise with friends in her living room. No longer trapped in her bed, Jan began to feel like a human being again. She realised she had been living with an unacceptable lack of dignity and had a right to a better quality of life. Inspired by the Human Rights Act, Jan took legal action to secure compensation and better care from the council. Now she has a better quality of life, and has become a campaigner for human rights. Sadly Jan passed away on 8 June 2017. We remember her for her passion and commitment to fight for hers and others rights. 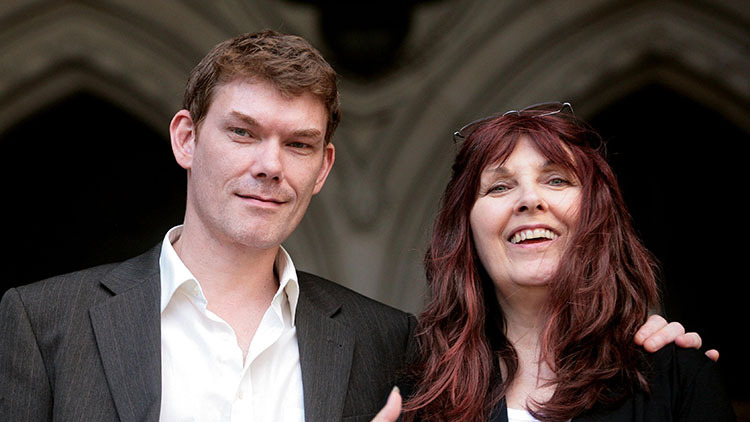 Gary McKinnon and his mother Janis Sharp fought for ten years to stop him being extradited to the USA. The Human Rights Act secured Gary’s right to remain in the UK for his own safety. Gary is a British man who has Asperger’s syndrome. In 2002, he was accused of hacking into NASA and Pentagon computer systems while searching for information on UFOs. Instead of allowing him to be tried in the UK, the US government attempted to have Gary extradited to the USA to face trial. If convicted, he would have faced 60 years in jail. The UK home secretary granted the extradition and Gary and his family launched a series of appeals. Each one was rejected. As the case dragged on, Gary’s mental health deteriorated. Two Home Office psychiatrists warned that if Gary was sent to face trial in the US, he would be likely to commit suicide. Then, in 2012, the then Home Secretary Theresa May announced that the threat to Gary’s health was so high that sending him to trial in the USA would be incompatible with the UK’s responsibility to protect his human rights. Gary had been saved from extradition by the Human Rights Act.